A four-day medical malpractice trial in Pennsylvania concluded with the jury awarding a man from Hatsboro, Pennsylvania $4 million. The man had brought the case against his physician when he received nerve damage from a procedure performed in his physician’s office. The decision is unique in that it is the first medical malpractice verdict in a year to favor a plaintiff in Montgomery County, Pennsylvania. According to an article posted on TheIntell.com, in 2011, 19 medical malpractice cases in the county went to juries for verdicts; all 19 verdicts favored the defense. According to court documents obtained by TheIntell.com, Jeffrey Hierholzer, 29, visited Dr. Harris Cohen after he discovered a lump on his neck in July of 2009. After taking a look at the lump, the doctor determined that it was either a boil or a cyst. The doctor said that he could either cut a small incision and drain the boil, or remove the lump if it proved to be a cyst. The doctor removed the lump in his office on July 24, 2009. The court documents further state that Hierholzer felt a weakening of his left arm and shoulder after the procedure. Additionally, it was tough for him to pick up items or move his arm more than 90 degrees. Hierholzer later had an orthopedic surgeon and a neurosurgeon examine his arm and shoulder, and both determined that Hierholzer had received a spinal accessory nerve injury that caused permanent nerve damage when the doctor removed his cyst, according to the court documents. The spinal accessory nerve is located on the side of the neck and controls certain shoulder movements, according to John Hopkins Medicine. Cohen’s attorneys argued that the situation was an “anomaly” because Hierholzer’s spinal accessory nerve wasn’t located under muscle as it typically is in other patients. On the other hand, Hierholzer’s expert witnesses testified that Cohen made too deep of a cut. Due to his injuries, Hierholzer, who is a HVAC mechanic, is limited in his ability to perform certain work-related tasks, according to the court documents. 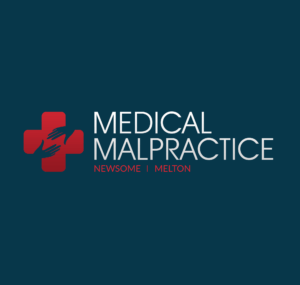 Can You File A Malpractice Lawsuit For Mistreating Infections? Do Statute of Limitations Apply If Symptoms Were Present Immediately but Got Worse Recently?